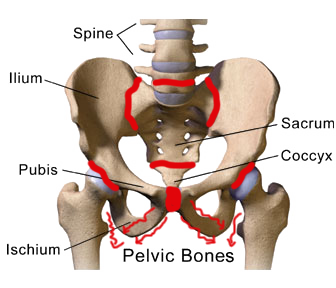 PGP (Pelvic Girdle Pain) also known as SPD, is a condition which causes pain in any or all of the pelvic joints. It affects a large number of pregnant women, up to one in five in some studies. Pelvic Girdle Pain can occur at any stage in pregnancy it may come on suddenly, or start gradually. It can also occur during birth or sometimes even weeks or months later. The main symptoms that women report is pain whilst walking, climbing the stairs and turning over in bed. Pelvic Girdle Pain can be felt in the pelvis, hips, groin, lower stomach and down the inner thighs. This means that if you have Pelvic Girdle Pain it can affect virtually everything you do in a day, which can have a major impact on your life. "Pelvic Girdle Pain (PGP) is also called Symphyis Pubis Dysfunction (SPD)." "Hormonal changes during pregnancy can affect PGP but does not cause it." "Prompt treatment for PGP can improve your outcome." "Studies have shown that PGP affects 1 in 5 pregnant women." "Asymmetry within the pelvis is the main causes of Pelvic Girdle Pain." Prompt treatment can prevent your Pelvic Girdle Pain from getting worse and can lead to a shorter overall recovery time. PGP can be treated at any stage of the pregnancy. Women who receive good manual therapy throughout their pregnancy may find their pain resolves quickly after birth. It is important to receive help from an experienced obstetric women's health physiotherapist as soon as symptoms of PGP occur. At this practice we have many years experience treating PGP and have undertaken advanced training from ACPWH and the Pelvic Partnership. We may use Acupuncture as part of a treatment programme to help manage your pain which allows you to have the most pain free and enjoyable pregnancy possible.